Whilst we were once advised to never judge a book by its cover, in this modern day, the majority of society does just that. 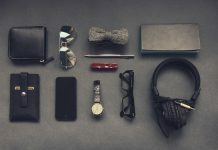 Dressing like a gentleman has become somewhat of a way of life, especially when it comes to making a lasting impression of the positive kind in both our work and social life, and although we all wish we had an everlasting supply of money to spend as we wish, the reality is, that the majority of us do not have that luxury. Luckily, ensuring you’re dressed to impress does not have to cost a small fortune and there are an abundance of both high street stores and internet retailers who have upped their menswear game of late, making improving the overall look of our attire much less of a monetary investment. With this in mind, whether you’re a savvy shopper or are shopping on a tight budget, here are some key pieces your wardrobe simply shouldn’t be without. A man’s wardrobe should never contain any less than five shirts, each freshly laundered and crisply ironed to perfection. A shirt is such a versatile item and can be worn as part of your day to day work uniform, worn under a smart-casual jumper or dressed down with jeans for an evening out in town. There is something truly iconic about a white shirt, but ensuring it fits well is a must or the overall look of your outfit can quickly turn from well-groomed to something slightly oversized that you’ve borrowed from your father. 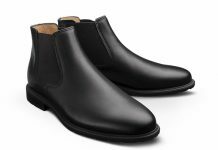 You can tell a great deal about a man by the shoes he is wearing, which makes a polished pair of shoes a vital part of a well-dressed wardrobe. Deciding upon a shoe style to suit you is very much dependent on your own personal taste, and whilst certain styles such as brogues are a true classic and easy to style, meaning they can smarten up an outfit no end, other more standoutish styles such as winkle pickers are equally as smart but not to everyone’s taste. Whichever style you opt for, ensure they are polished and cleaned regularly and no matter how much money you have spent on them, they’re likely to wear much better and keep looking smarter for longer. Wherever possible, a tailored suit is advisable when investing in a wardrobe that will last a lifetime, but until you’re ready to make such a large financial commitment, there are a handful of high street retailers who stock suits of the more fitted variety; meaning smart office wear or a suit for a more formal event, is instantly more affordable. Buy the best you can afford, an ill-fitting suit will instantly give the game away when it comes to shopping on a shoestring budget, but shop around and you are likely to find a suitable suit for your wardrobe.